I am not the powerless victim of outside events, but may actually be the all-powerful droplet that makes the difference between life and annihilation..
and "Righteous Among the Nations"
The winds can considerably change the destination of droplets in the air. In 1974, France's National Assembly had 9 female members for 421 males. And yet, standing up to a hailstorm in those halls of power, a woman bravely championed a law making abortion legal. Merci, Madame. Forty-three years later, that palace counts 224 female deputies out of a total of 577. We now enjoy the freedoms fought for by our ans(c)isters, we can aspire to every rank of power and vehemently defend the principle of "my body, my choice." French legislation allows it. The government's advisory council on bio-ethics has recently decided in favor of allowing lesbian couples and single women access to medically assisted procreation techniques (which are currently reserved to straight couples in France). A small step forward, one that will hopefully open this practice to any woman who wishes to avail herself of it. Merci, Mesdames. The droplets have turned into a stream. And yet, the winds of sexist violence still blow. In "ordinary" hostile gusts, like the outgoing French deputy who worried publicly that his successor wouldn't have time "to do her laundry or to bring her children to school." And, too often, as hurricanes, like the Euro MP from Poland who declared that "Women should earn less than men because they are weaker, smaller and less intelligent." Politics, like the business world, is still archaically discriminatory. "Everyday sexism" gives the lie to supposed equal opportunity, which only exists (if it exists at all) in the most simplistic numerical sense, far from true equality. 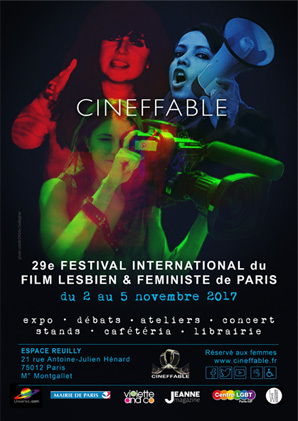 Our festival, via its lesbian and feminist standpoint, strives to assemble those disparate droplets into a movement that's indispensable to everyone's lives. This year again the Transmission commission offers you films, a live performance and a competition. "Run, move forward, set off again, drop; it's in this moment of instability that the interval of movement is born." by Lucie Anceau, created especially for the festival. 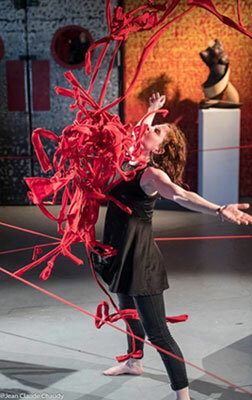 Dancer and choreographer, Lucie questions the themes of the body and its image. 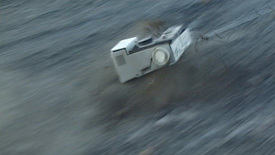 We invite you to film dance/space, real or abstract, your desires, your sidesteps, in tempo to your whimsical thoughts. 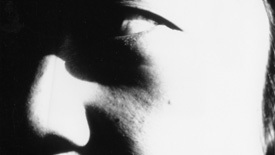 Send us your films of under 3 min to with the subject: "Concours transmission". 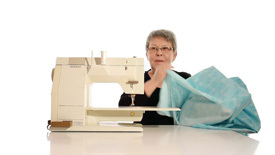 13 women and their sewing machines. How Katy Pyle, artistic director of the New York-based queer dance company Ballez, is turning traditional ideas of gender and ballet on their head. 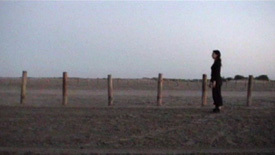 This open air choreography seems to appear suddenly out of the surroundings. The camera, rather than being a simple observer, interacts with the dancers and becomes a part of their dance. Desire disorients and bodily swellings result. "A lovely concoction of hand-tinted and scratched film evoking a woman's flight from concrete to nature - spurred on by a kiss." Dance crosses the line of the horizon. The chase becomes relentless between the dance and the camera.